This section has tin openers which have features such as improved grip or ease of use. 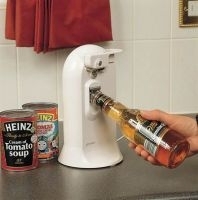 The tin openers included may have large moulded handles, be wall mounted or have powered operation. Can ring pull openers which are suitable for one-handed use are also included. Are you right or left handed? 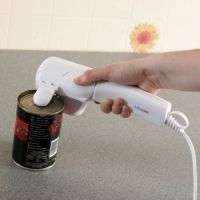 Most manual tin openers are designed for right hand use. Left handed tin openers can be purchased and some of these are included in our product information. 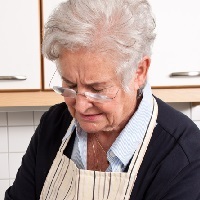 Many tin openers are designed for a limited range of tin sizes so if you regularly open small or large tins check whether the tin opener will work with these before purchase. 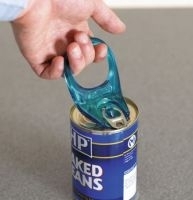 Some tin openers are harder to use with smaller tins like tuna tins. Ring pull openers can be a useful alternative to tin openers, as many tins are now fitted with a ring pull which can be challenging to open, particularly if you experience reduced hand grip or strength.